Rev. James V. Rheams, CSV, a longtime educator and devoted master of novices, died at St. Joseph’s Home in Dubuque, Iowa on April 25, 1941 after a long illness. He was 58. Fr. Rheams was born in Chicago on January 1, 1883. In his early youth, he lived with a family friend, the Rev. 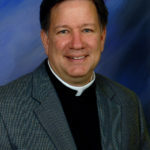 Michael A. Dooling, Pastor of St. John’s Church, in Clinton, Illinois. From the tutelage of this good priest, he passed into the care of the Clerics of St. Viator in the spring of 1893 at the age of 10. Rheams became a novice in September of 1897 and professed his first vows on June 30, 1900. His teaching career began at Holy Name Cathedral School in 1899, where he won the hearts of the young in this five-year apprenticeship. In September of 1904, Rheams became a faculty member of St. Viator College in Bourbonnais, Illinois teaching Latin and mathematics students as well as those preparing for priesthood. In 1906, he earned his undergraduate degree and his master’s degree in 1908. The Most Rev. 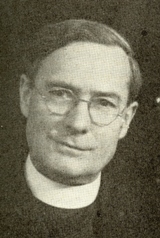 James E. Quigley ordained Rheams at Holy Name Cathedral in Chicago on June 5, 1909. After ordination, he continued to teach at St. Viator College and also assumed the office of Director of Studies. Rheams was transferred in September, 1918 to Columbus College in Chamberlain, South Dakota, to fill the same functions. In the summer of 1922, he was called to the General Direction in Brussels to prepare for the work of master of novices. In August 1922, he began that position at the novitiate in Chamberlain, South Dakota. In 1927 the novitiate temporarily closed and Fr. Rheams was commissioned to oversee the construction of the new novitiate in Lemont, Illinois. During that time, he also filled the office of President of St. Viator College for one year and Provincial Councilor for two years. Fr. Rheams resumed his duties as master of novices in August, 1929 and remained in Lemont until his illness in 1939. The solemn funeral Mass was celebrated at Maternity BVM Church in Bourbonnais, Illinois by the Very Rev. Provincial, Fr. Richard J. French, CSV. Interment was at the BVM cemetery, where Fr. 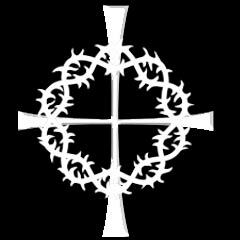 Walter Surprenant, CSV, gave the absolution.